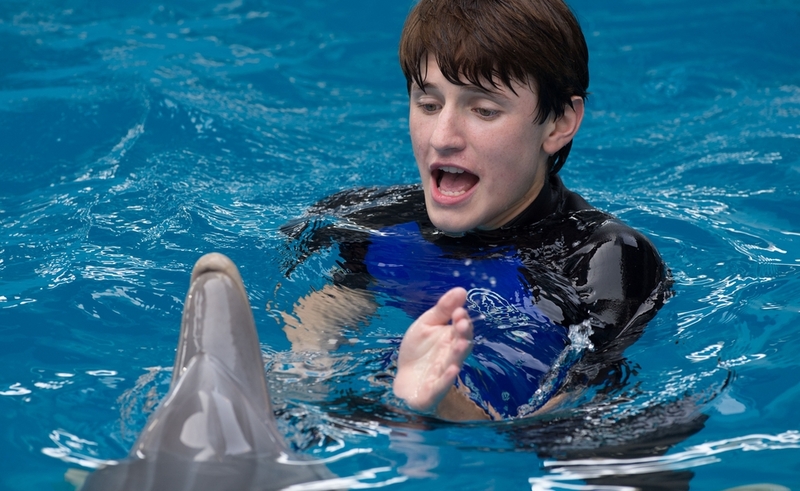 To celebrate the release of Dolphin Tale 2 on Blu-ray™ and DVD! We’ve put together our five favourite facts about dolphins so you can get all clued-up before you watch the movie! Dolphins communicate by whistles, squawks and rasps as well as jumping and splashing to speak to other dolphins. Dolphins eat herring, cod, mackerel and squid. On average, a dolphin with a weight of 200kg to 250kg will eat between 10kg to 25kg of fish every day. Dolphins have 100 teeth but they never chew their food, they just bite and swallow! A dolphin will always live in a group with other dolphins. The groups can be as small as 2 dolphins and up to 100! These are called ‘schools’ or ‘pods’. Sometimes, for the sake of finding food, pods will join together to form ‘super pods’ but this is always temporary and never for a long time. Dolphins have two stomachs just like cows. The first one stores the food for them and the second one is where digestion takes place. 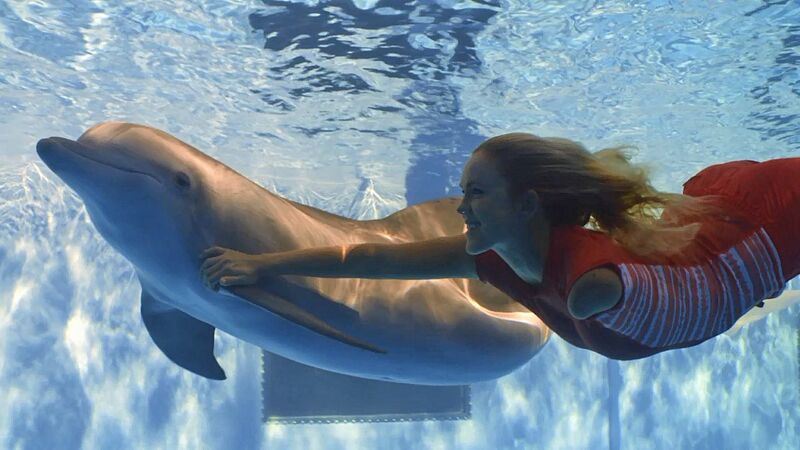 This means that a dolphin is able to consume large amounts of food in one go. Dolphins can swim up to 260 metres below the surface of the ocean! However, as they cannot breath under the water, they can only stay for up to 15 minutes under water before they need to come up for air!